The Cultural Media Arts Festival aims to display pieces of art from canvas art, entertainment, animation, and manga categories. In each category, works are chosen to win “grand prize”, “superior prize”, and “newcomer prize” awards with an eye towards the current cultural trends. 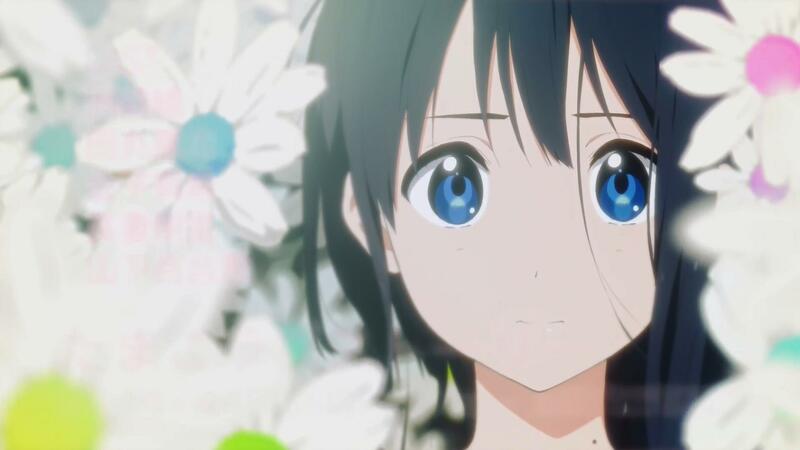 In the 18th Cultural Media Arts Festival, the popular anime film Tamako Love Story and its director, Naoko Yamada, won a ”newcomer prize” in the animation category. 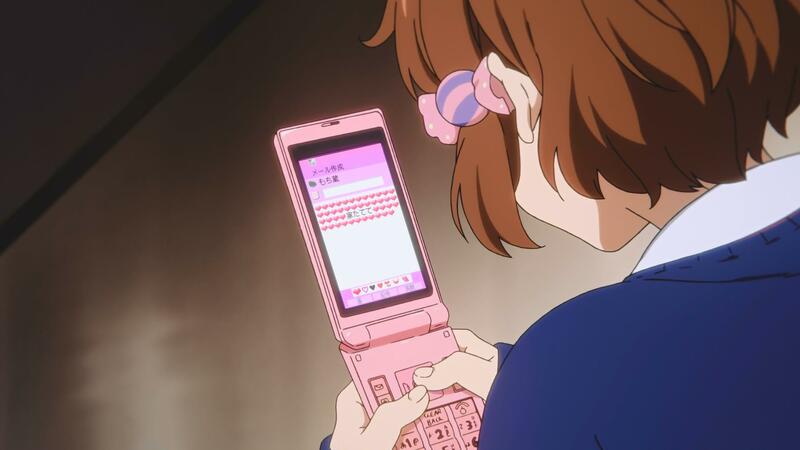 The film, a sequel to the TV series Tamako Market, is an orthodox adolescent love story that won acclaim from viewers. With the work/director winning this prize, we ask director Naoko Yamada about the film’s highlights and how she felt upon winning the award. – Congratulations on winning the award. What were your thoughts when you heard the news? Naoko Yamada (hereafter Yamada): I was immensely happy when I heard about it. When we were working on the film, I jokingly said to the staff “Let’s aim to get this screened at the Cultural Media Arts Festival.” I had hoped that aim would be completed, but I was immensely shocked when I won that award. Yamada: When we were producing this film, I wanted to find and show that “radiance of everyday life.” It made me truly happy to read that part of the review. – I’d like to ask about the film. It’s a bit different than the TV series in how it focuses around the “love” around Tamako and Mochizou. What did you aim to do when making a sequel to that series? Yamada: After talking with the scriptwriter Reiko Yoshida-san over many components, we decided that depicting Tamako as the protagonist was the utmost important part. 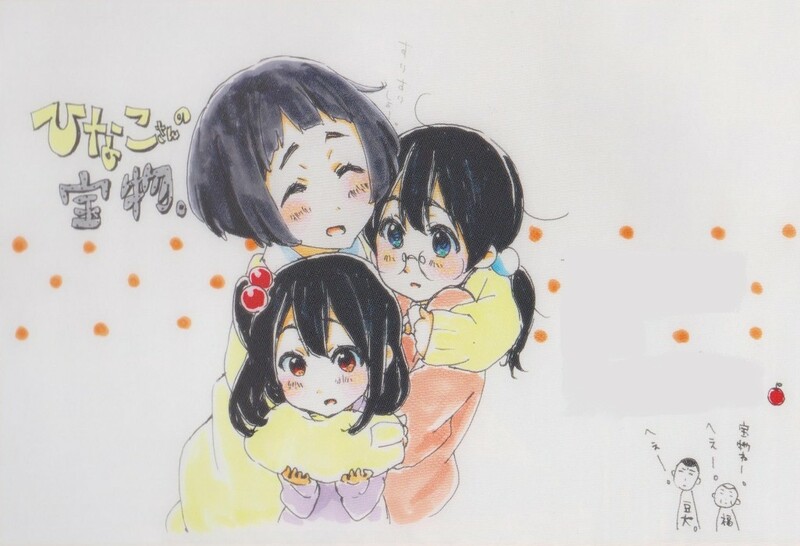 Following that, we wanted to make something to conclude the Tamako series. As we wanted to highlight a 17 year old girl, we decided to focus on the “love” motif. Also, since this is a sequel to the TV series, there would naturally be Tamako fans coming to watch, but I wanted to ensure that people who hadn’t seen the series would still be able to enjoy it. – It’s also relatively rare for a straightforward adolescent story to be released now. By doing that kind of story, you were able to obtain popularity amongst a wide variety of people, including those who hadn’t seen the series before. Yamada: I wanted to go more and more “straightforward.” The theme of one girl falling in love is a very very modest tale, so I thought we should not try any kind of hacky tricks. Usually, you say that you plan to go “more spectacular” or to “have a surprising twist,” but I felt grateful that we continued to keep it “straightforward.” Furthermore, that was what would be most pleasing for the customers as well. – Dera does not appear in the main feature at all. Was that also a way to keep the work as simple as possible? – The movie imagery felt very impressive with the images feeling more life-like than the TV series with your direction staying aware of the lens it’d appear through and such. 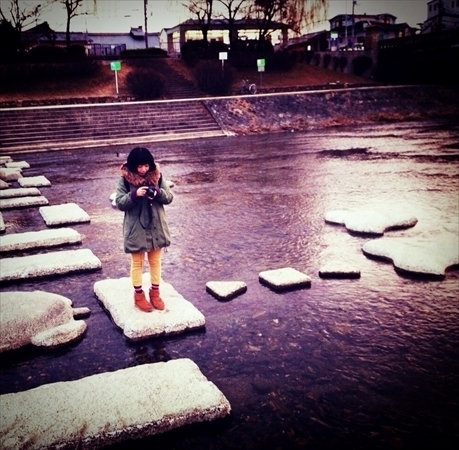 Yamada: I love the approach that makes it feel life-like. When I was using a lens, I wanted to make it feel like you were seeing the screen at a distance. Perhaps that might be my own bias towards wanting it to be a “movie.” When I was younger, I would stay up late and watch movies screening that late. Each time I saw one, I would get so excited that I couldn’t go to sleep. I wanted to relish that feeling. Now when I’m the one making the film, I wanted to have the audience savor that excitement from one of my works. That’s why my intuition to “draw the camera closer” is so strong when I’m directing. – I understand now. So that’s why it feels like the characters are real too. Yamada: It’s very important to me to treat the characters as individual people. I don’t think of them as imaginary; instead I try to come in touch with them from their perspective. “How would this girl think?” “What kind of scenery would they see here?” Maybe that’s tied with the life-like approach too. – This is your second long film project. How does this compare with your previous work K-On! The Movie!? Yamada: I still was very inexperienced when working on K-On!. It feels like I was also clumsily constructing visuals too. There’s also parts where I reflect and think about my approach for this scene and that scene and how to go about it… But in a way, there’s also a lot of “innocence” in that work that I could only make at that time. Surely I wouldn’t be able to create the same kind of work twice. I’m sure I’ll look back at Tamako Love Story in that manner later on, but I definitely want to think of it with care as well. – The film is a piece brimming with the glimmer of adolescence. It feels like you carried that theme from K-On!. Yamada. It’s been a while since I was an adolescent, but for the characters, they’re all in that period. Every breath. Every blink. Everything is “adolescent.” It’s truly remarkable that you live without realizing you’re in your adolescence while you’re 17. I’ve wanted to make productions that look at those thoughts thus far. I made this film while being aware of it; I didn’t want to miss a single moment of those characters shining brightly. – Yukiko Horiguchi-san continued on with this project as character designer and chief animation director. What kind of work would you say she does? I never gave her a concrete order for any of the characters in this movie too. She knew it was going to be a movie, so she adjusted the character proportions some and made their hair more realistic. – Tamako and Mochizou grew through their love for each other. It feels like the other characters gret in their own steps. Yamada: That’s right. With Shiori-chan also deciding to study abroad, it feels like you take your eyes off them for a moment and they take a huge step forward and bam! they’re own their own. I had quite the problems with the storyboards for the film. I kept worrying “what should I do…” when drawing, but every time I worried, it felt like the characters pushed my back and helped support me. I’m personally grateful for the girls’ growth and courage. Also, Midori’s existence was quite important for this work. That girl should be nicknamed “adolescence.” (laughs) Ever since we opened her up in episode 2 and showed her heart falling, we strongly felt that we couldn’t ignore her. I was so incredibly happy we could make this into a film for that reason. – Director Yamada, the way you depict female characters is so charming. You really love to draw them, don’t you? Yamada: I love to. (laughs) With how brilliantly they shine, my interest will never die out. Conversely, assisting on another of our company’s works, Free!, was incredibly fresh as it was a work with nearly only boys. Director (Hiroko) Utsumi’s approach to her characters was awfully entertaining. It was a really good experience for me. – There’s a lot of comments regarding your works saying “it’s because she’s a woman director.” What are your thoughts on that? – Please say a few words to encourage the customers who aren’t anime fans attending the Cultural Media Arts Festival and probably the ones who haven’t seen anime to see your film. – There are likely people attending the festival who want to become anime directors. What message would you like to give to them? Yamada: Those people are likely people who have an interest in people and ordinary imagery. They’ve likely never forgotten how seeing a film moved them and made pictures with the intent to move someone’s heart. I want people who have sights on the film industry to have interests in a lot of things. We’re in an age where there’s a lot of information for people to see and create. That’s why it’s so important to have that analogue feeling where you really feel and experience something. Also they’re probably going to have a lot of failures. I’ve had a lot myself, but each one was an important experience for me to go through. – At the festival, there are also “artwork” and “games” besides anime. What do you think are the merits of “anime” among those? Yamada: Anime has soul in it from the very first moment you see it. It’s the same for puppet animation and claymation as well. Anime is one frame by one frame with something a human has created to move around. It’s that “animation” process that moves people. You have to never forget that intent when creating something. – You’ve continually depicted “adolescence” thus far. What kind of works will you be making in the future? Yamada: I don’t want to relinquish that theme yet….. I’d like to challenge myself in “comedy.” I want to make something where you gradually pull out what makes someone so interesting and dig down into what makes a character. Currently I’m working as series director in Kyoto Animation’s new show “Sound! Euphonium.” I also made the PV, so be sure to watch it. – Finally, please give a message to all the readers. This entry was posted in Kyoto Animation, Tamako Market, Translations and tagged director, interiew, naoko yamada, tamako love story. Bookmark the permalink.